ALL ISLAND CAYENNE PEPPER 2.5OZ. Cayene spicy dishes, as a powder or in its whole form or in a thin, vinegar-based sauce. ALL ISLAND CINNAMON POWDER 3 OZ. Cinnamon powder has long been known as a wonderful, powerful seasoning that adds to a wide array of culinary dishes. All Island Jamaican Curry Powder is guaranteed to add a luscious finish to your pot! ALL ISLAND GARLIC & PARSLEY POWDER 4 OZ. All Island Garlic Powder has all the zest of freshly chopped garlic, in the convenience of a bottle! Ginger plays an important role in enhancing the taste of many foods and beverages. This seasoning is so versatile that it can be used on ALL meats! Try it on anything, even vegetarian meat substitutes. So good it will bring tears to your eyes, not the same unpleasant tears you get from the time consuming act of cutting whole onions. Add a dash of onion powder to your cooking and go! This baking spice is an essential mix of various baking spices and flavorings that are guarenteed to enhance the taste and aroma of your baking. Anise is the fruit or seed from the flowering plant, Pimpinella anisum. 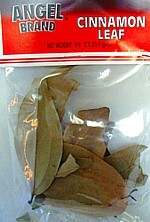 Dried bay leaves are mostly used for their distinctive flavor and fragrance. Other than adding great flavor to a variety of foods, cinnamon leaf or powder has been said to enhance blood circulation, promote production of digestive fluids, as well as to relieve stress.